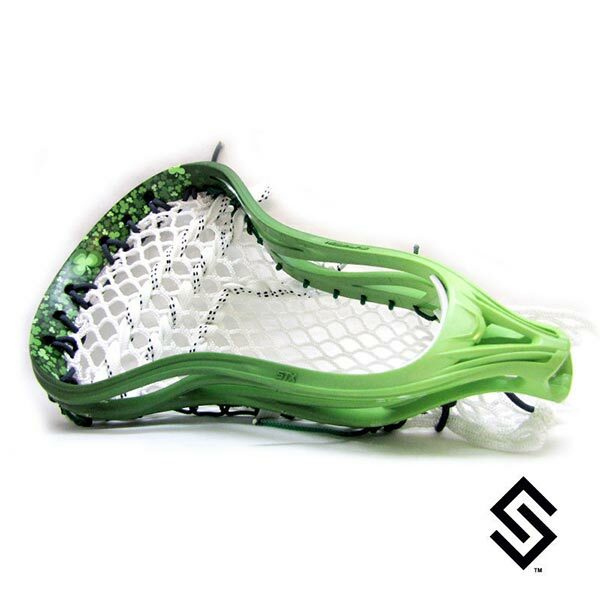 The StylinStrings Clover Lip Fade Lacrosse Dyejobs are an artistic representation of random clovers sizes on the lip of your lacrosse head. We have multiple size clovers that range from a light green, to a light kelly, to kelly, and the final color is almost forest green. All these colors then fade to a light green at the bottom of the head. Displayed here on an STX Surgeon this dye can be put on any lacrosse head.